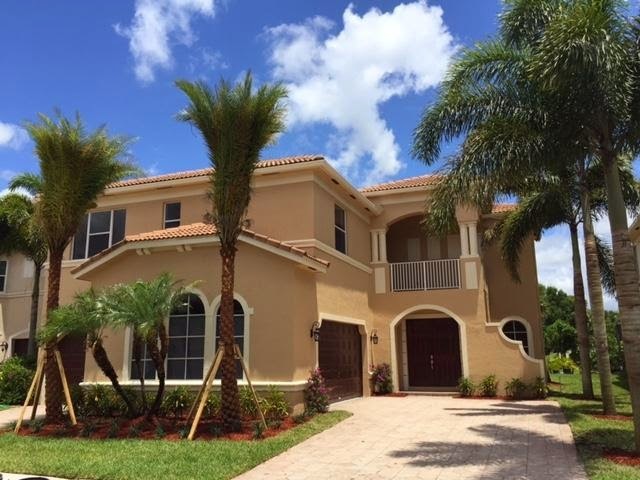 This estate sized home is perfectly situated in the outstanding community of Black Diamond in the center of Wellington, Florida. Capable of housing a large family or large family to be this 5 bedroom 4 full bath home allows everyone plenty of room to roam. Each spacious room is light in color which provides an open and airy feel. The multitude of windows also allow in plenty of natural light. This home features gorgeous tile throughout the downstairs, new granite counter tops with a beautiful back splash, and fully equipped with stainless steel Samsung appliances.This Black Diamond beauty also has granite in every single bathroom, the master bathroom includes a perfect glass enclosed shower. Crown molding encompasses the entire house giving it an extra touch of luxury. The community of Black Diamond is centrally located in Wellington off of state road 441, very close to amazing shopping at the Wellington Green Mall, the world renowned International Polo Club, plenty of delicious restaurants, and so much more. Black Diamond offers more than just its lush landscape, it also includes a gym, multipurpose room, pool, and tennis courts. This community in the village of Wellington is surely a vivacious place to raise a family.